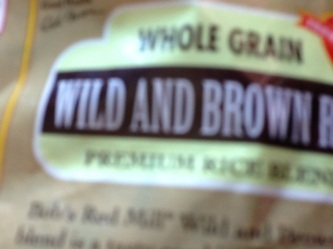 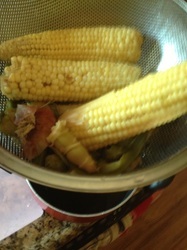 Vit C, Calicum, Iron, Potassium and Protein. 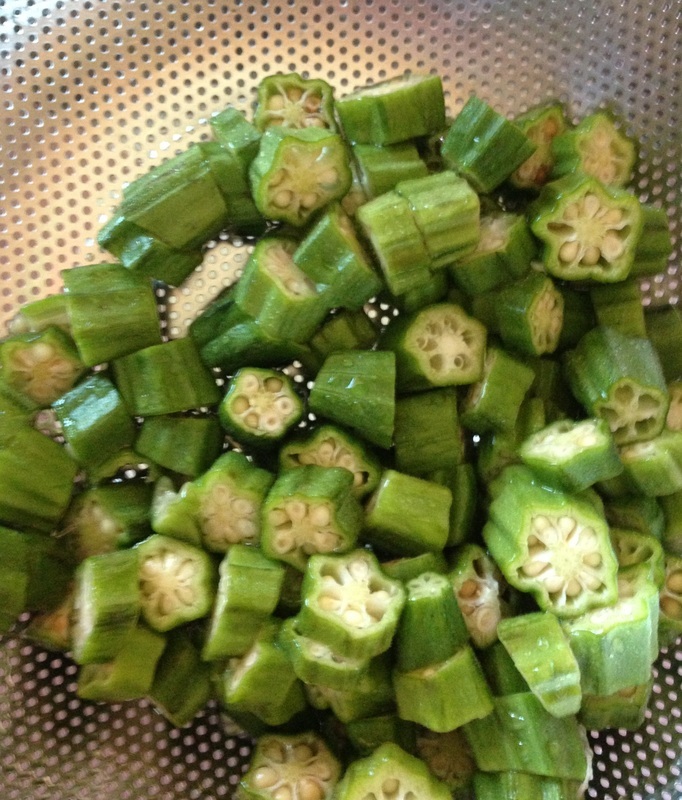 I have always really liked Okra, my mom used to fry it with a breading but I don't fry food much anymore so I now enjoy it in soups. 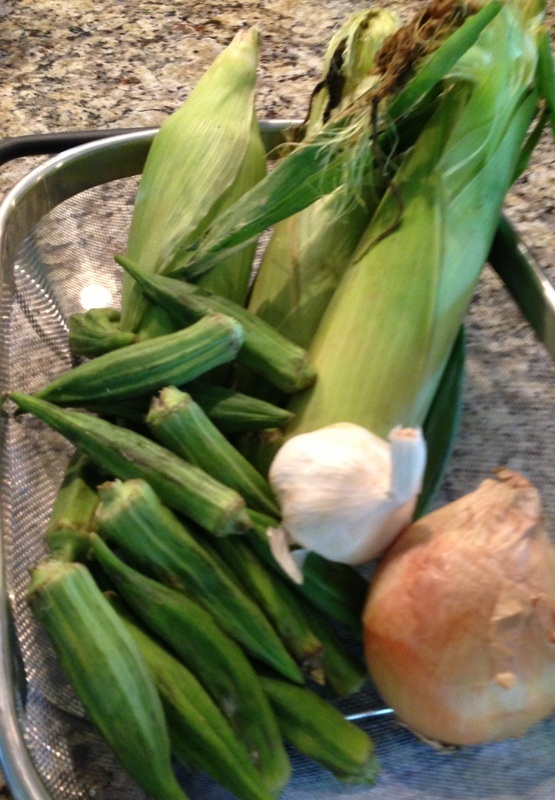 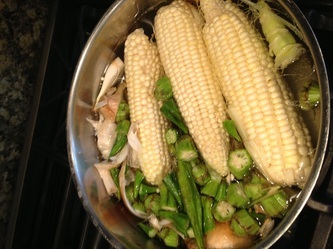 Along with okra I also found beautiful corn on the cob today so I decided to create a soup recipe to feature these two ingredients. 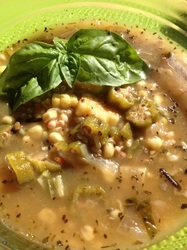 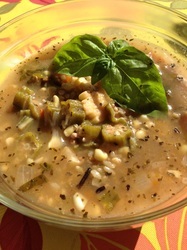 The soup turned out delicious and I hope you like it as well. 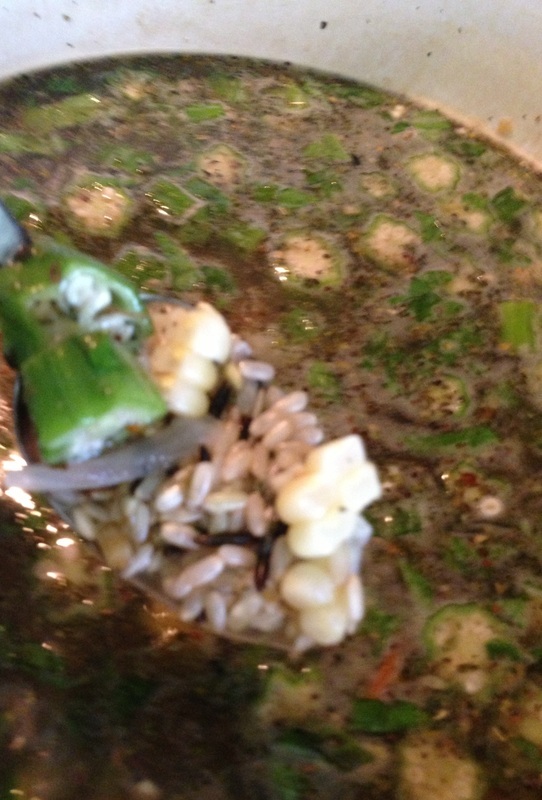 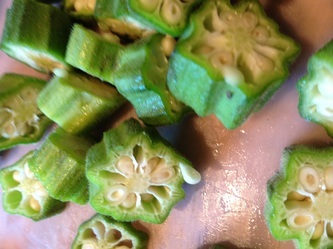 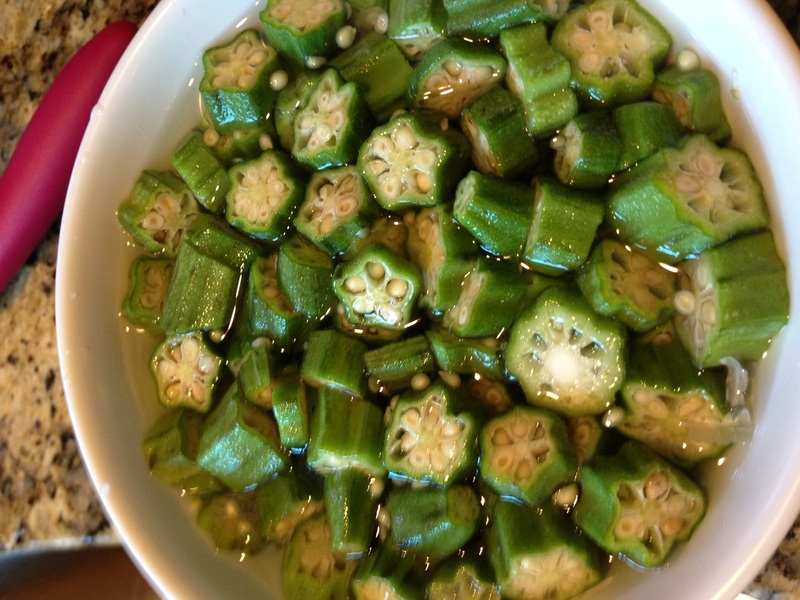 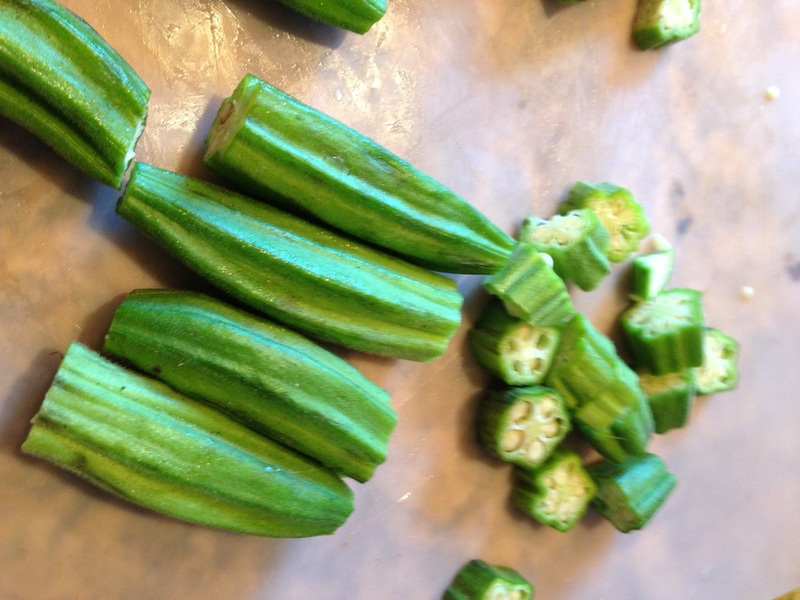 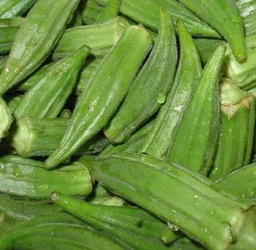 Remove top and tail of okra, place in bowl of ice water with a tablespoon of white vinegar or a squeeze of lemon. 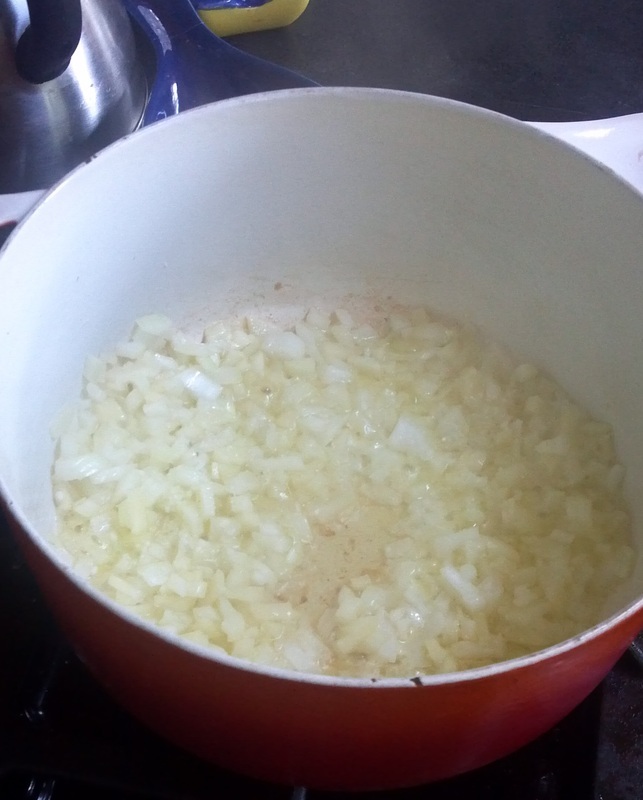 Let soak for 30 minutes ..Chop onion and garlic and saute in large soup pot until onion is translucent.about 5 minutes. 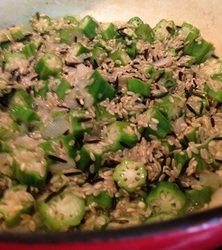 Add one cup of brown and wild rice, Italian seasoning and strained okra to soup pot and cook uncovered on low for 2minutes. Add broth (recipe below or you can use any vegetable broth-7 cups). Cook 45 minutes. 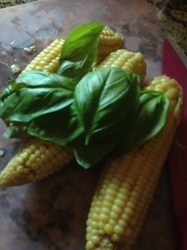 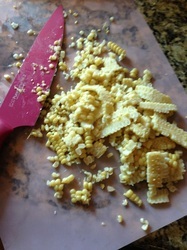 Add corn off the cob and fresh basil, Cook 5 more minutes and serve. 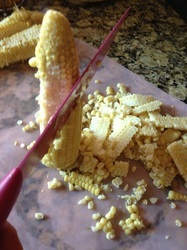 Remove corn and let cool aside. 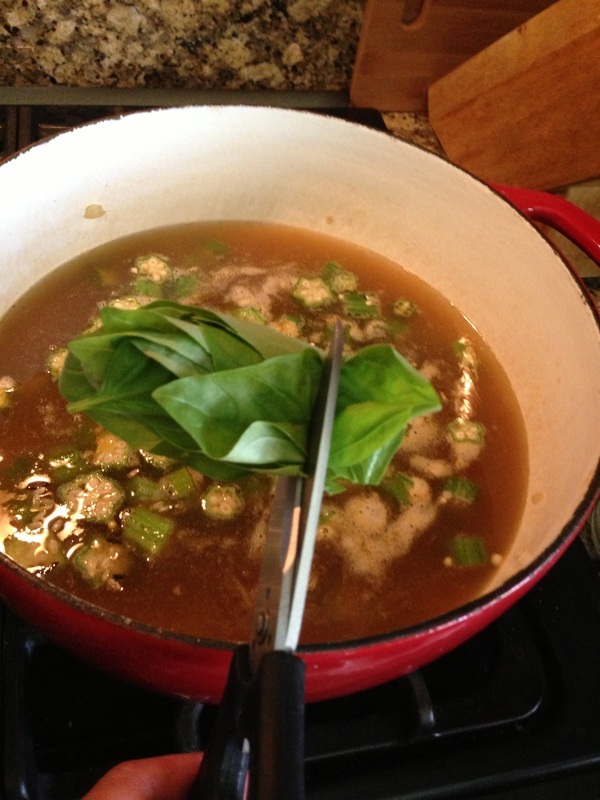 Using strainer pour broth into soup pot. 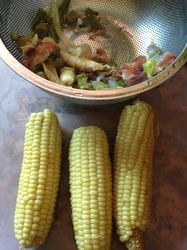 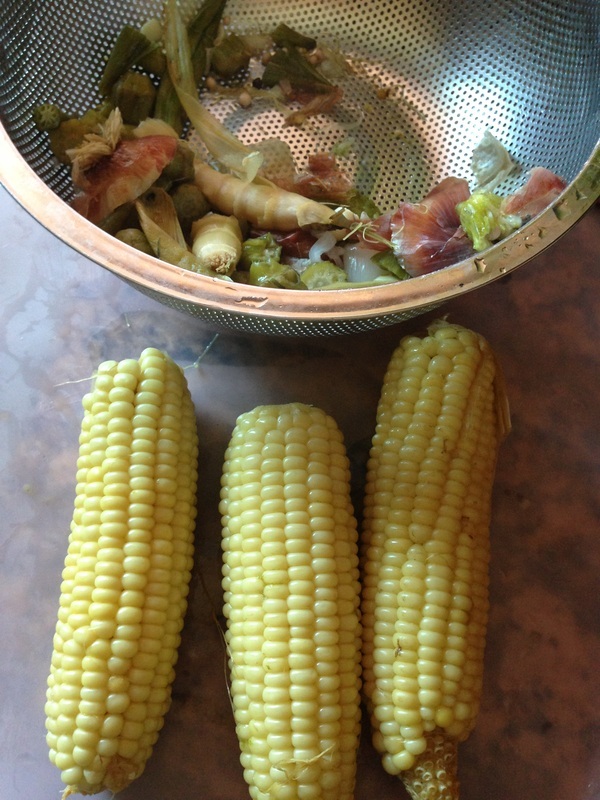 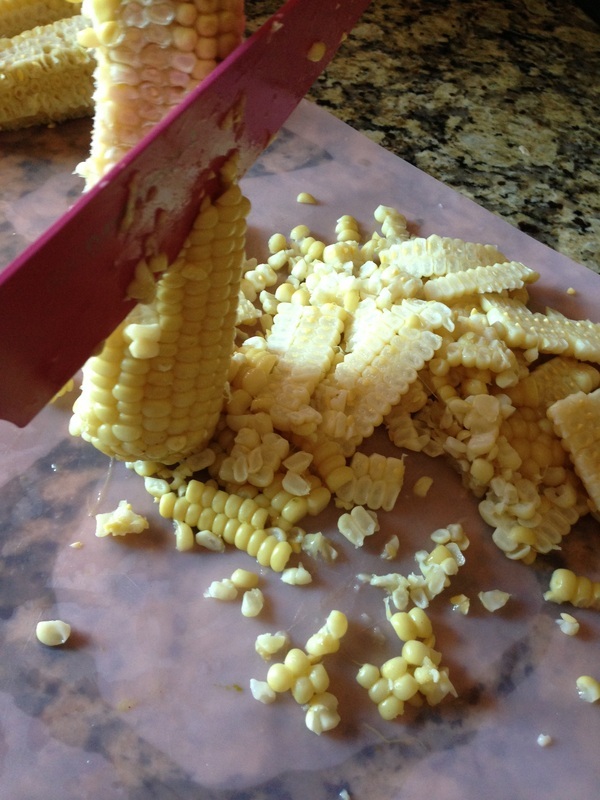 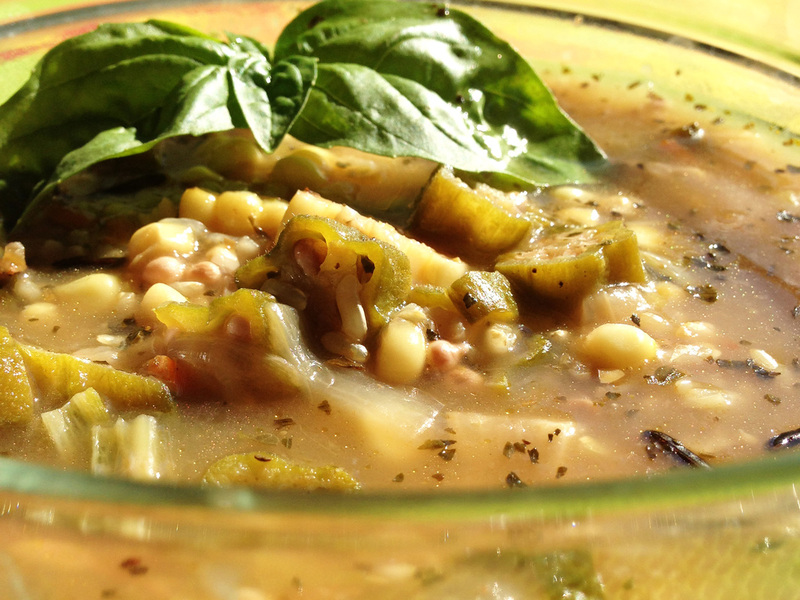 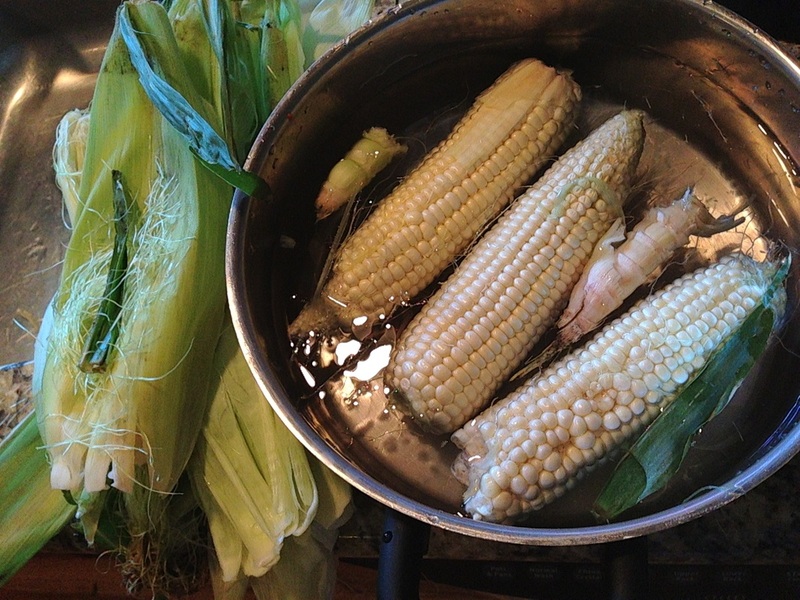 Cut corn off the cob and add to soup.